Here's the outfit I wore while I was exploring Old Town with my sisters. 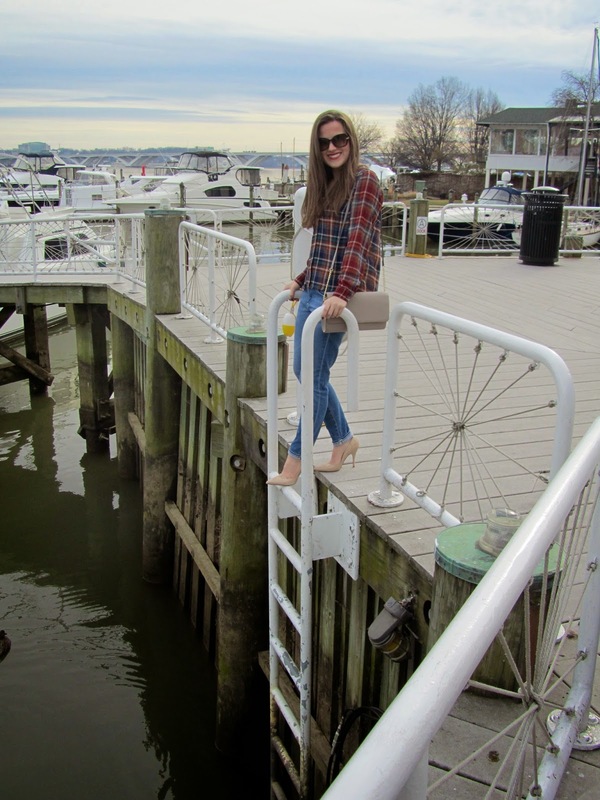 I fell in love with the little shops, cafes, and the waterfront was gorgeous! 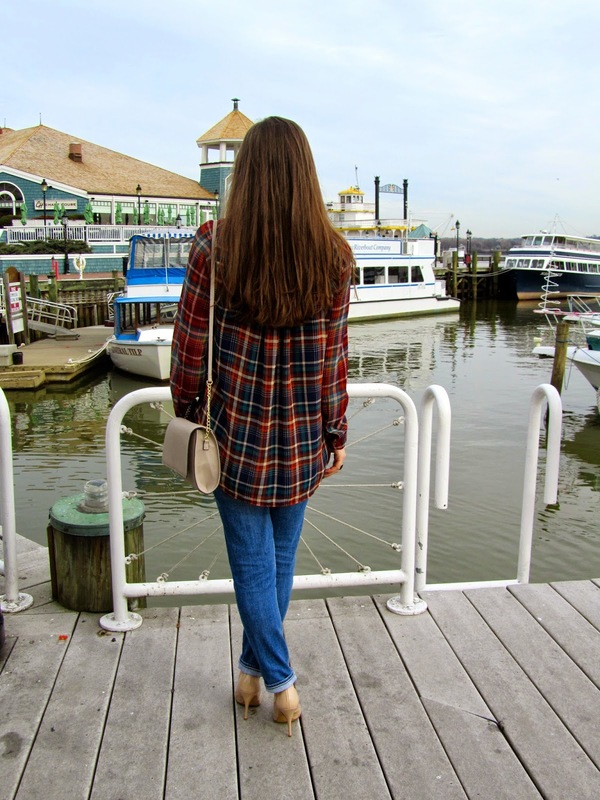 This plaidpane top is so versatile, and I'm sure I'll find a more exciting way of styling it soon. 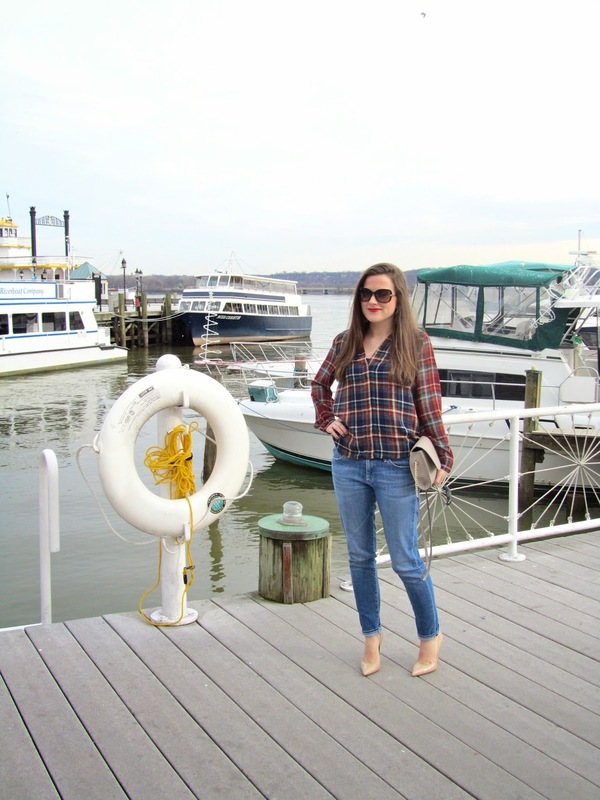 I didn't know at the time or until we got home, but I had planned on wearing my boyfriend distressed denim with this top--somehow my sister's jeans ended up in my suitcase, and I didn't even notice the difference or realize they weren't distressed the entire time I wore them! Obviously vacation came at the right time for me. 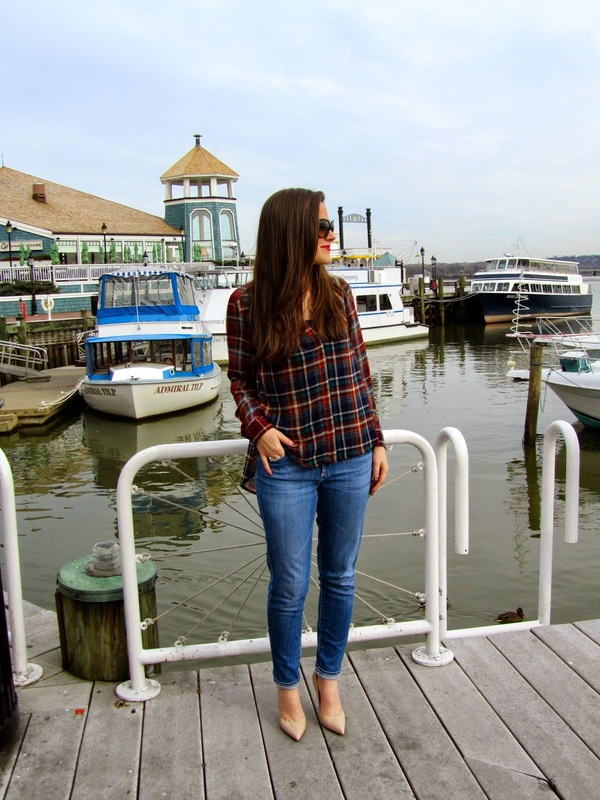 Love this plaid top, you look great! So simple but effective! I love this look from head to toe! I'm loving this post! You look darling and that plaid top is too cute! !